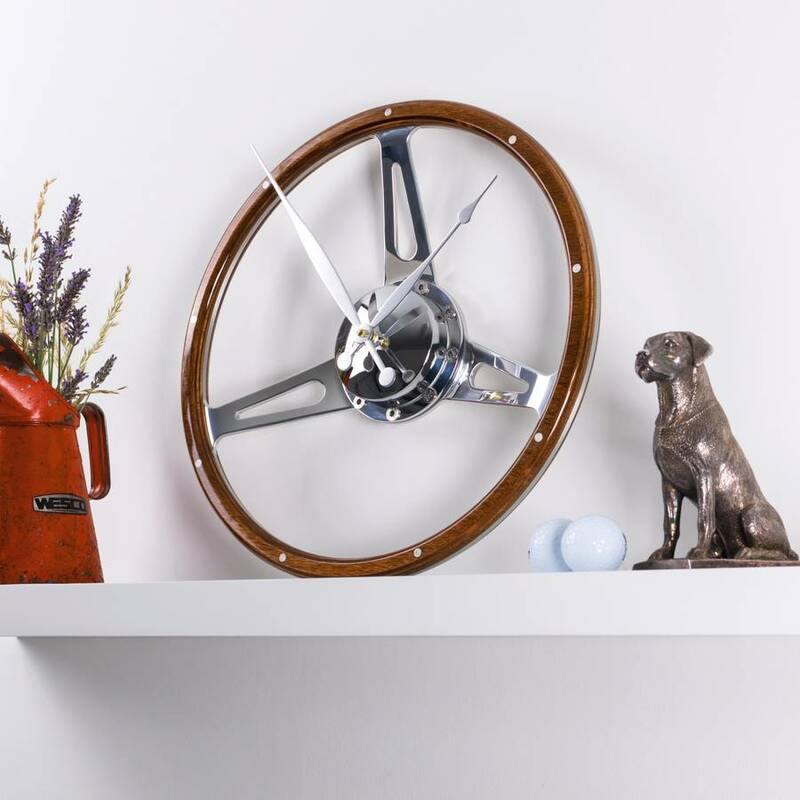 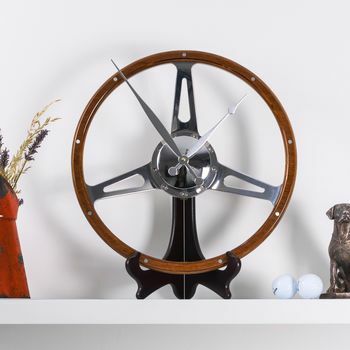 This is a genuine classic car steering wheel in walnut, polished and coated then upcycled into a unique desk clock that is simply not available anywhere else in the world. 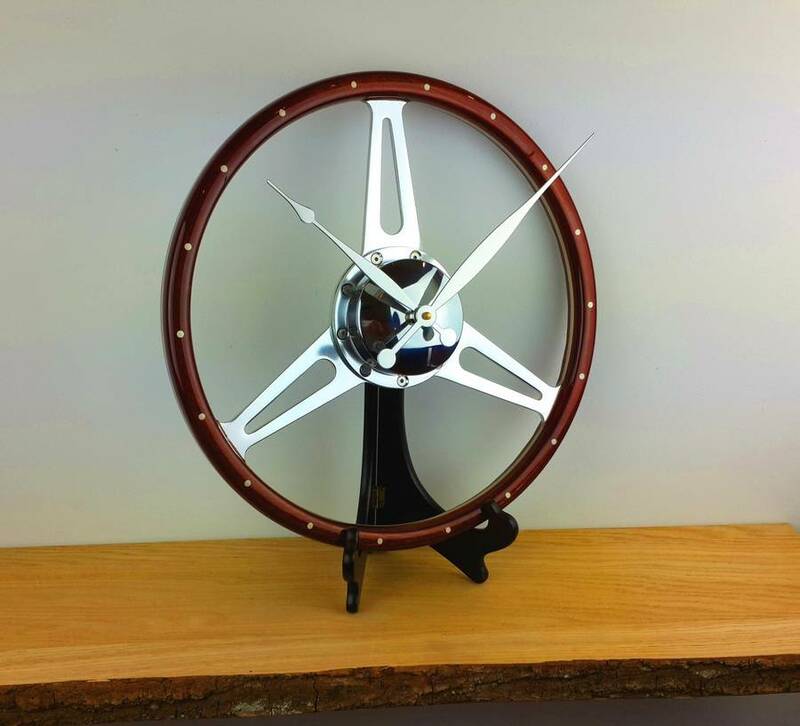 Each piece is handmade bespoke to order. 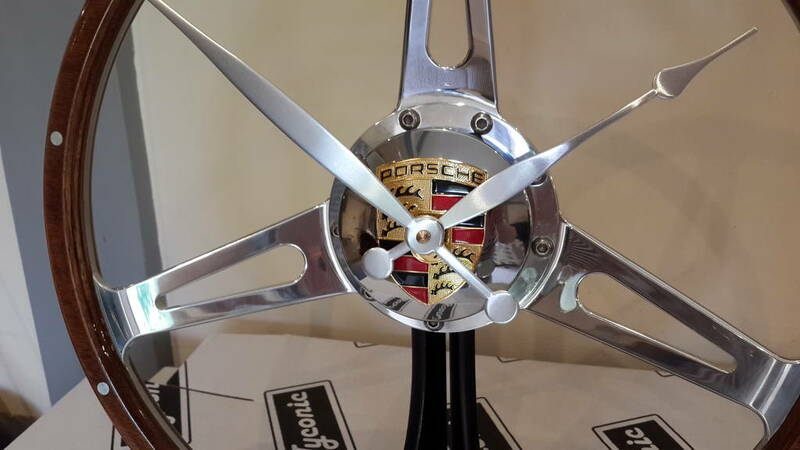 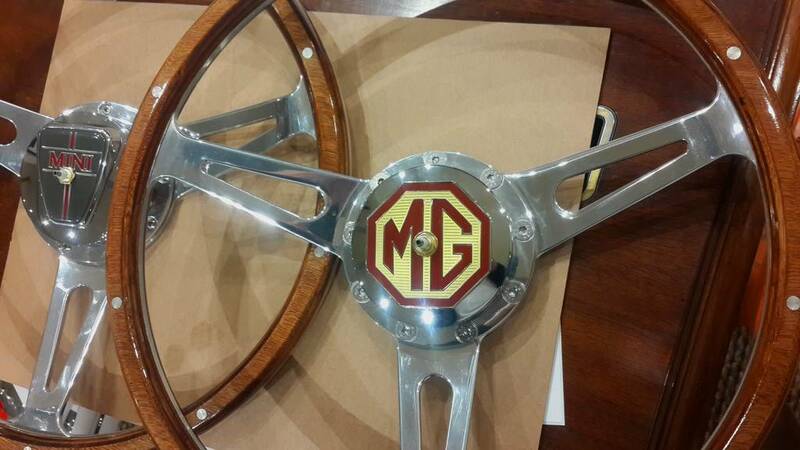 The clocks can be made with a Porsche, MG, Ferrari, Jaguar etc badge on the hub in the center of the clock. 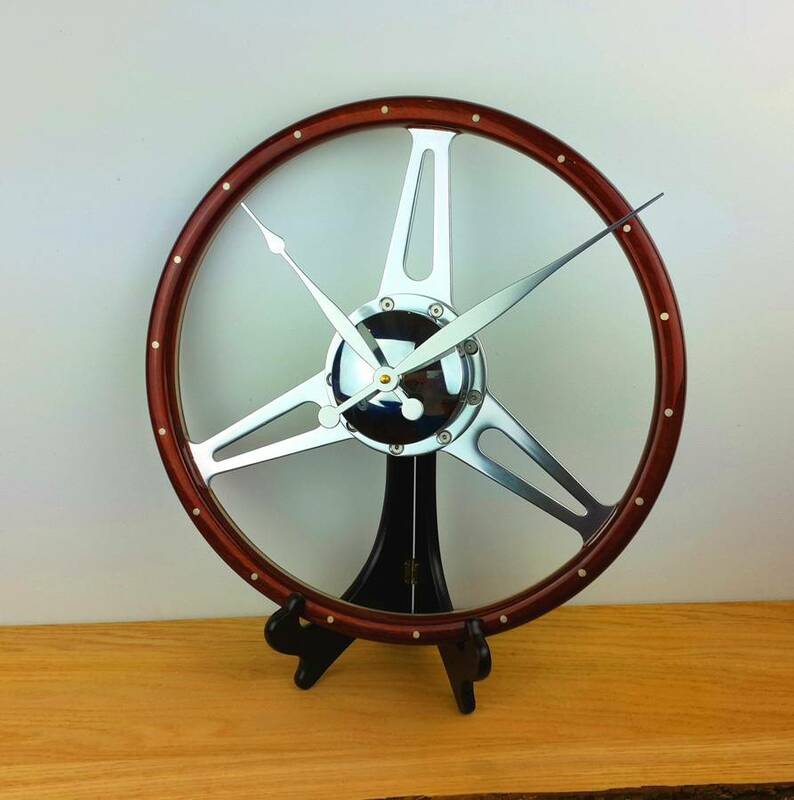 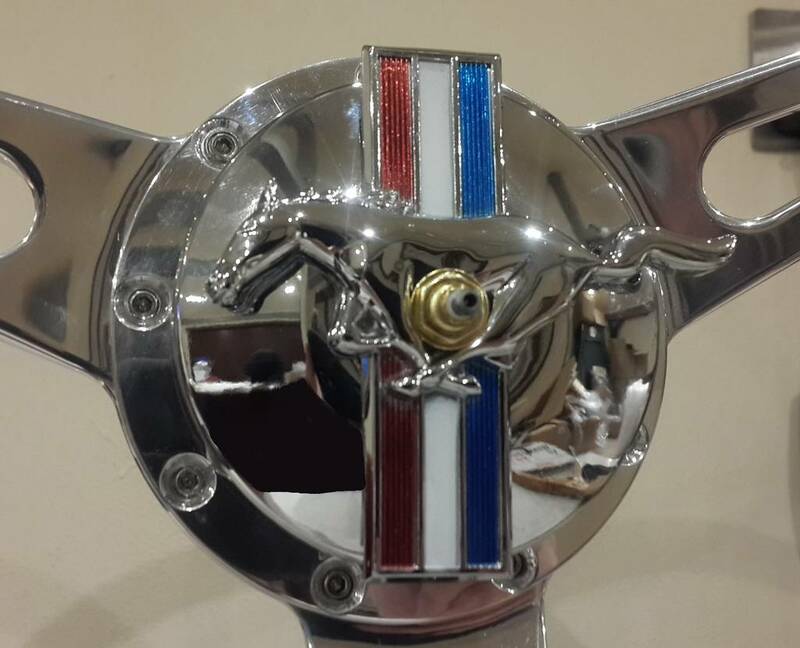 Contact me if you would like a bespoke clock with a car badge in the center .